The travel market in Costa Rica expanded this week with two low-cost airlines opening new flights to and from Juan Santamaría International Airport, outside of San José. Mexican carrier Volaris, which offers flights to Mexico and the United States, officially launched operations in Central America on Wednesday with daily flights between San José and Guatemala City. The routes will use Costa Rica as a hub; as the airline already offers connections to San José via Cancún and Guadalajara in Mexico. Volaris Costa Rica General Manager Fernando Naranjo said at the opening ceremony that the company is very excited about its expansion in Central America, and hope to boost regional connectivity. “We’re looking forward to further expand our presence in the region, and we will do it following our non-stop flights and low-fare scheme,” he said. Tourism Minister Mauricio Ventura attended the inauguration and said that the new route represents a great opportunity to promote multi-destination trips to Central America among tourists from all over the world. 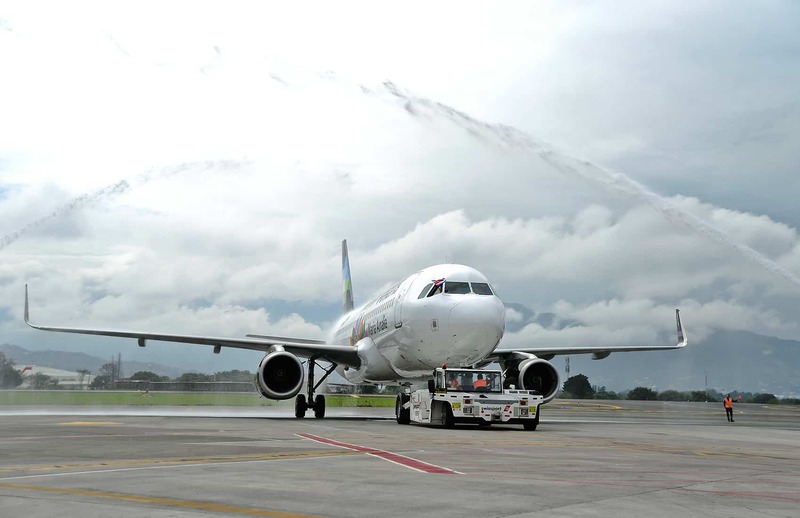 Colombia-based Wingo, a subsidiary of Copa Holding, began operating routes between San José and destinations in Guatemala and Panama on Thursday. The low-cost carrier will travel between San José and Panama five times a week on Monday, Thursday, Friday, Saturday and Sunday. Flights to Guatemala City will operate Monday, Thursday and Saturday. Minister Ventura said Thursday that the opening of these new routes consolidates the ministry’s goal of attracting more airlines to the country and improving air connectivity with the rest of the world. The low-cost market in the region already includes VECA Airlines, which offers nonstop flights from San José to El Salvador since February. From there, travelers can connect to routes to Managua, Nicaragua and Guatemala. New Tico airline Air Costa Rica is scheduled to open this month. The new carrier plans to open routes to Colombia, El Salvador and the United States.